A few weeks ago I bought the Hercules Starlight Midi controller because … of reasons and due to the fact that I started playing music on M-Audio’s infamous Torq DVS I have some leftover-habits of how I want my software / controller to react. 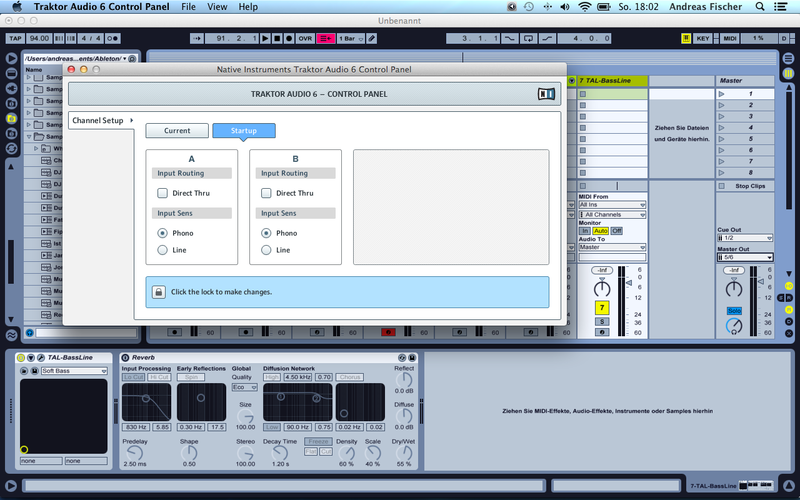 That’s why it was ab-so-lute-ly necessary to create a customized MIDI mapping for using Traktor. By the way, did I ever tell you? When Torq 2 came out I was one of the alpha-testers. 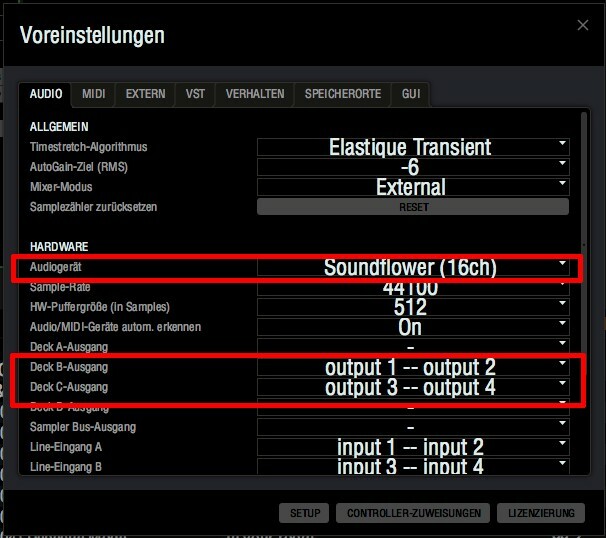 Thank me for Torq 2.x not crashing when using a MIDI device that presents itself with an umlaut. (I guess the NDA is more than obsolete since Torq is no more for a long time already). Creating this mapping I didn’t start from scratch but based my work on an already existing one. As far as I remember it was this one but don’t quote me on that. 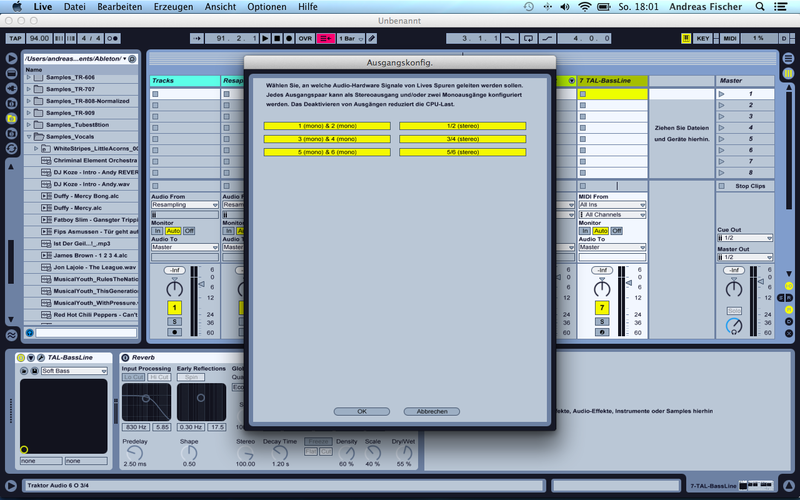 However, big thanks to DJ Roberts over at the DJTechTools forum. Every now and then i use M-Audio’s Torq DVS to make music. I have been dj’ing in a bar for a few years and most times I was annoyed by the necessity for an external soundcard. i really like mixing with an external Mixer so controlling my dvs via Midi and using the internal mixing engine is not an option. 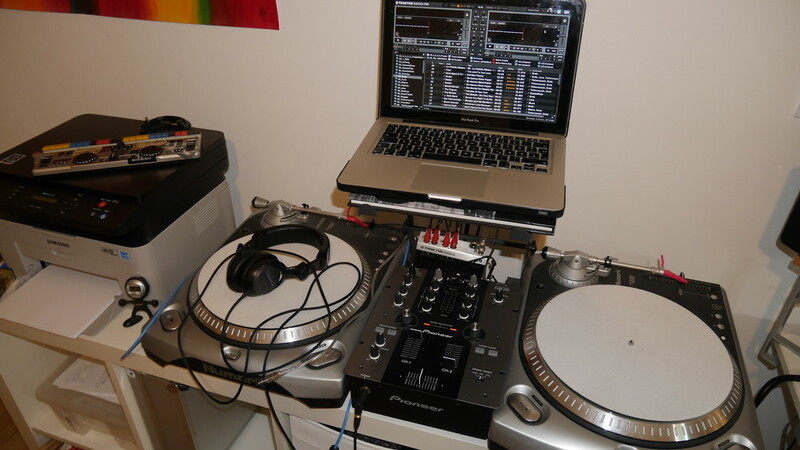 I just like having physical access to the channel faders, the crossfader and the equalizers. Using a Macbook and a selfbuilt cable I found a way to use a dvs with an external mixer but without the need for an external soundcard. Starting with the cable. I cut a cinch-cable i had lying around. 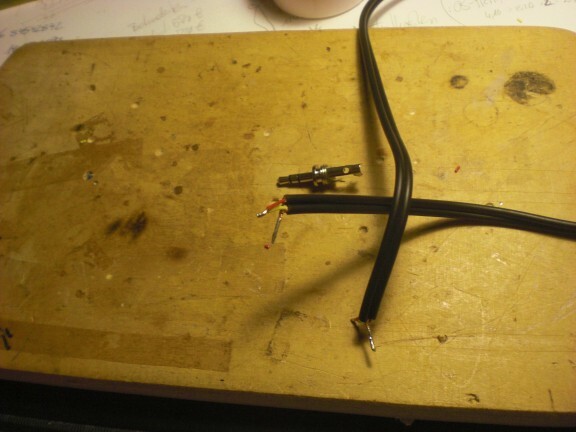 For every half the wires for left and right channel are soldered together to form a ‘cinch-bundle’. 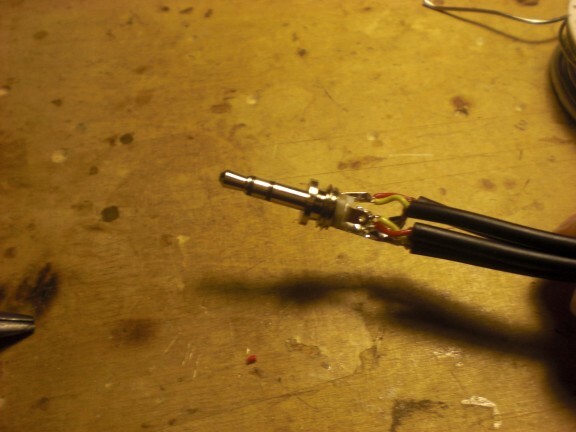 Things are then soldered to a stereo headphone jack which fits into the Macbook. Ground to ground, of course. One ‘cinch-bundle’ is soldered to the left , one is soldered to the right pad of the headphone jack. The whole construction is then drunk with hot glue to make it insensitive to mechanic stress. This way you have 2 pairs of cinch-cables coming out of your Macbook’s headphone jack (both mono, of course) which can be connected to a mixer. In order to devide the Macbook’s audio output into two independent interfaces I use soundflower the following way: The 16ch-interface is connected to the built-in output of the Macbook. 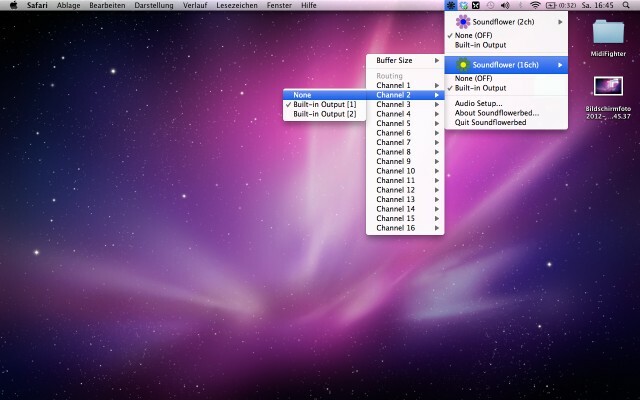 Channel 1 and 2 are routed to built-in output #1 (I guess it’s the left channel). 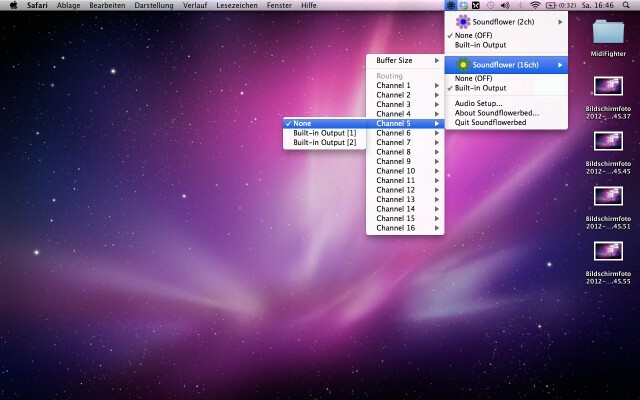 Channel 3 and 4 are routed to built-in output #2 (if #1 is the left side then maybe this is the right audio channel..). All other channels’ outputs are set to ‘none’. As mentioned earlier, you only have 2 mono outputs with this solution. This is not a solution for playing a big gig or club or any place where sound quality is a criterium at all. This is just a quick-and-dirty hack for playing in those places where sound quality just doesn’t matter that much (most of the bars I came across…). anyways…it works.